We’d love your help. Let us know what’s wrong with this preview of Bowlaway by Elizabeth McCracken. To ask other readers questions about Bowlaway, please sign up. What part does the house on the front cover of the book play in the story, if any? Diana It is the house Leviticus built for Bertha, where Minnie was born. My first novel from McCracken, and probably my last if the others are like this. “Sprawling” is the best word for this book. It spans like 15 different lives, all stemming from one bowling alley in Massachusetts in the late 1800s. It’s weirdly untethered despite everyone being related in some way to each other, and I found myself getting more and more bored as the book went on. There just isn’t a point. I’ve had this same reaction to books like this before and had I known that Bowlaway wouldn’t My first novel from McCracken, and probably my last if the others are like this. Dena Thanks for support in not finishing. I can't even keep up with who's who. Just not interesting enough. Susanne Trimmer Started it today, and maybe I will finish it. Some very showy writing here, but no heart. And where, lord, is this woman getting her money? If you like sprawling generation-spanning tales brilliantly written in the vein of John Updike or Lauren Groff, then Bowlaway by Elizabeth McCracken is the book for you. However, if you like poorly written tales full of misspellings, irregular capitalization, a meandering plot, and a peculiar fixation on flatulence (all written in pencil), then I have to say my son Willoughby’s report on Fennec foxes that he wrote last year in 2nd grade would be the recommendation to take. 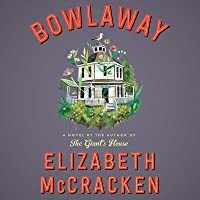 McCracken’s Bowlaway t If you like sprawling generation-spanning tales brilliantly written in the vein of John Updike or Lauren Groff, then Bowlaway by Elizabeth McCracken is the book for you. However, if you like poorly written tales full of misspellings, irregular capitalization, a meandering plot, and a peculiar fixation on flatulence (all written in pencil), then I have to say my son Willoughby’s report on Fennec foxes that he wrote last year in 2nd grade would be the recommendation to take. McCracken’s Bowlaway takes place in the world of candlepin bowling in the New England town of Salford, Massachusetts. It starts at the turn of the century when a mysterious woman, Bertha Truitt, is discovered unconscious (maybe napping) in the middle of a cemetery. Willoughby’s tale, “Felix the Fennec Fox,” takes place in the Sahara of North Africa. Or at least I believe it does. This kid has spelled Sahara with three h’s and a backwards r for God’s sake and the page is covered in either chocolate stains or maybe the droppings of a bloody nose. Everyone who knows Willoughby knows the boy is mentally unable to stop using his pudgy fingers to excavate crusty booger-lodes from his nasal mineshafts. The story in Bowlaway is odd, serpentine, sad, and funny, populated with many compelling characters. McCracken’s writing is a marvel. She uses words like Paula Deen uses a deep fryer. With just 26 letters, McCracken constructs sentences that will wobble your ulnar nerve one moment and then the next completely pulverize your heart like an industrial car crusher. To say she can write is like saying the Fennec fox has sensitive hearing. On the other hand, Willoughby’s writing, while informative, is quite possibly one of the hardest undertakings to interpret since Champollion deciphered the Rosetta Stone in 1822. If you can (miraculously) make out the words he is writing, the paths his logic takes often leads to confusion, debatable logic, and even lunacy. God, I really hope you chose Bowlaway over my kid’s scrawling catastrophe. Bowlaway will be sure to keep you up reading well into the night (like the nocturnal Fennec foxes) and you will devour the story quicker than a Fennec will devour an appetizing rodent. Death and life, frosted with macabre comedy: It’s why we’ve enjoyed Elizabeth McCracken since her debut novel, “The Giant’s House,” app Who could walk away from this opening line? Death and life, frosted with macabre comedy: It’s why we’ve enjoyed Elizabeth McCracken since her debut novel, “The Giant’s House,” appeared more than 20 years ago. She never promises us freedom from pain, but she always offers just enough heart to endure it. Her new novel, “Bowlaway,” is a rueful family saga that begins at the start of the 20th century and revolves around a bowling alley in the small town of Salford, Mass., north of Boston. “Our subject is love,” the narrator announces, “because our subject is bowling.” But not ordinary love and not ordinary bowling — nothing is ordinary in this story. The people of Salford play candlepin bowling — that smaller, harder version peculiar to New England: “a game of purity for former. . . .
A sprawling delight. Like reading John Irving circa Garp and The Hotel New Hampshire, but written by a woman. This was an ARC I received from a publisher. I had loved one of Elizabeth McCracken's short story collections (Thunderstruck) so I thought I would enjoy this book. However, it turned into one of those slogs that I ended up forcing myself to power through. I don't know how to describe this novel because it made no sense to me, but the story mostly revolves around a bowling alley in a small New England town. The bowling alley is founded by the mysterious Bertha Truitt. Eventually it is run by her s This was an ARC I received from a publisher. I had loved one of Elizabeth McCracken's short story collections (Thunderstruck) so I thought I would enjoy this book. However, it turned into one of those slogs that I ended up forcing myself to power through. I don't know how to describe this novel because it made no sense to me, but the story mostly revolves around a bowling alley in a small New England town. The bowling alley is founded by the mysterious Bertha Truitt. Eventually it is run by her son, his wife, and various other family members. The plot is so dull I can barely remember it. Characters are mentioned in plotlines that are trickle away, only to be brought back to life a hundred pages later. The language falls over itself with its perceived cleverness. The whole book just drags and drags. Nothing very exciting happens. So much of the story is about characters who are supposed to be full of mystery, but they are mostly just frustrating, and ridiculous. What a big, sprawling novel this is. It reads like an anecdotal history of a bowling alley, and the family who starts it, grows with it, and feels trapped by it. It’s about the farthest branches of a family tree and the stories we tell about them. But the best part is McCracken’s writing—every few pages a line or a passage will sneak up on you and knock your socks off. Love, love, love Elizabeth McCracken and have been waiting for this one. Solid read but I wanted more Bertha. 2.5 stars. I wanted to like this book. But it was just *too* quirky for me, in a way that made it feel like it was trying to be. There were moments of real feeling, and where it managed to convey deep unsettling emotions of the realities of life. It had decently portrayed characters. And the story, or the very intertwined stories, was/were overall good. And yet...there was somehow both too much and too little at the same time. I almost stopped reading several times, and while I'm glad I didn't, I 2.5 stars. I wanted to like this book. But it was just *too* quirky for me, in a way that made it feel like it was trying to be. I loved this book a million reasons—the language, the characters, the storytelling, but most of all, for the way it expresses a love for Massachusetts—the candlepin bowling, the Peggy Lawton cookies, the great molasses flood, the Mary Jane candies—it was like reading a book made straight from my childhood obsessions. A total delight. Charming and sweet, if a bit precious for my tastes. I didn't finish this, I just didn't like the style of writing. The fire department burned down the house across the street from us, an early 19th c house like ours, one built by a founding family in the area. It was scheduled to be demolished and the volunteer fire department decided to burn it as a training exercise. My parents and I watched from our second-floor windows as the house became enveloped in orange flames that lit our faces, the heat nearly too much to stand. My father recorded it all on the home movie camera, bought at my brother's birth, so I know it was around 1960 when the house was burned down. In front of our house was the gas station built by my grandfather. What were they thinking of, starting a fire so close to gas pumps? And on that newly vacated land, a bowling alley was built. My grandmother, who lived with us, joined a league and bowled with her lady friends. I would go with her to watch the games. I remember having to put on special shoes that always smelled funny. I recall the snack bar, the bright lights, the balls rolling back to us, and especially the noise of the balls knocking down the pins. Once there was another kid at the alley with his grandmother. He talked about baseball the entire time. I don't know why I listened, I had no interest in Little League or baseball--or in even boys. 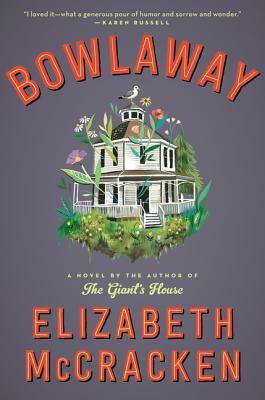 Reading Elizabeth McCracken's novel Bowlaway brought back those bowling alley memories. But the novel's bowling is of a different sort than the nine pin I grew up watching. "Our subject is love because our subject is bowling. Candlepin bowling. This is New England, and even the violence is cunning and subtle. It still could kill you. A candlepin ball is small, two and a half pounds, four and a half inches in diameter, a grapefruit, an operable tumor. You heft it in your palm. Our subject is love. Unrequited love, you might think, the heedless headstrong ball that hurtles nearsighted down the alley to get close before it can pick out which pin it loves the most, the pin it longs to set spinning. Then I love you! Then Blammo." There is it! In the first pages of the novel, the theme laid out for the observant reader to see. We become addicted to the very act that knocks us off our pins--Love--which can even kill us. Bowling as metaphor. I loved this novel for the many lovely tricks of language and quirky descriptions. And how McCracken sums up things that knock you over with unexpected truthfullness--why didn't I think of that? you wonder. McCracken tells us that this is a story about genealogy. We read about generations of the Truitt family and the people whose lives they touched. Just before the turn of the century, a century ago, Bertha Truitt is discovered in a cemetery by Joe Wear, an orphan boy who works as a pin setter in a bowling alley. Bertha is attended to by another visitor to the cemetery, Dr. Sprague, an African American doctor with a penchant for deep thought--and drink. Bertha has arrived with a candlestick bowling ball and pin and a pile of gold. She builds a candlestick bowling alley, hires Joe, and marries the doctor. The local women come to bowl. Bertha builds an octagonal house for her and the doctor and their daughter Minna. But tragedy strikes (pun intended) in the form of a molasses flood. The doctor sends Minna away to his people and he slowly lets grief consume him. First, he and Joe fashion a Bertha doll with carved candlepin appendages and a stuffed body. Joe had hoped to inherit the bowling alley, as Bertha once promised. It is assumed that everything goes to Minna, but she never returns. When a Mr. Truitt comes along saying he is Bertha's heir, showing a family bible with the handwritten family births, he takes the alley over, banning females and marrying a local woman. Their children are yoked to the alley unwillingly. It is a story of revelations, sudden deaths, marriages, love, and how life slams lovers apart. The characters and plot may be Dickensian, but the truths are spot-on. As one character says, "Lady, lady. All sorts of things happen in this world. This is only one of them." Book buzz spread like fire when the release of Bowlaway was announced. I hate to admit that I hadn't read a single word from Elizabeth McCracken before but appreciated the fervor readers have for the author. And so begins a sweeping family saga full of quirky characters. We are introduced to Bertha Truitt, the mysterious woman found in the cemetery with nothing more than a Book buzz spread like fire when the release of Bowlaway was announced. I hate to admit that I hadn't read a single word from Elizabeth McCracken before but appreciated the fervor readers have for the author. We are introduced to Bertha Truitt, the mysterious woman found in the cemetery with nothing more than a bowling ball, candlepin, and several pounds of gold. Dr. Leviticus Sprague and young Joe Wear are the first people in town to lay eyes on Bertha and it will change their lives forever. Bertha arrives as if she fell from the sky and everyone is amazed by and stranglely drawn to the mysterious woman who never speaks of her past. She simply appears one day and shakes up the sleepy town of Salford and its people by marrying Dr. Sprague, building a strange octagonal house, and opening a candlepin bowling alley called Truitt Alleys managed by Joe Wear. Just when I was settling into the odd story of Bertha, she died in a freak (and historically accurate) accident involving a flood of molasses. Her husband Leviticus mourns her death, sending away their teenaged daughter Minna to live with his family in Canada, which causes their longtime housekeeper Margaret to grieve over the loss of the child she helped to raise. Just when I was beginning to shake off the sudden death of Bertha, Leviticus Sprague up and died in a bizarre way. Enter Nahum Truitt, a man claiming to be the long lost son of Bertha Truitt and rightful heir to Truitt Alleys. He marries Margaret (Bertha and Leviticus's former housekeeper) and together they have two sons, Roy and Archer. Joe Wear disappears, leaving Jeptha Arrison as the only remaining original employee at Truitt Alleys. Just when I was getting into this story that now had a completely different cast of characters, Nahum disappears and leaves his family to continue running the bowling alley. Roy grows up and sets off on his own but Archer marries a local girl once he returns home from war and together they update Truitt Alleys and rename it Bowlaway. Years later, through family drama, disasters, and secrets; Bertha Truitt's last will and testament is found and it's the key to (literally) unlocking an old safe in the basement of the bowling alley. Bowlaway is a look at a small town, a family, and their inheritance. I adore quirky stories but I was bummed that every time I settled into a character's storyline they up and died or disappeared! We are introduced to many people, all connected and centered around the bowling alley, learn the random events of their lives, but I couldn't connect with the story because of how often central characters were pulled in and out. You will be born soon. You're promised. What damage you'll do to the family tree is in your hands." I enjoyed the well crafted descriptions and eccentricity but the abrupt introductions and dismissals of characters left me uninvested in their lives and connections. If you're a huge fan of multi-generation family sagas and a whole lot of quirk, Bowlaway is worth a try! Quirky, yes. Amazing sentences and rambling style and completely enjoyable. If wondering if such would interest you, read the 5 star reviews and then read the 2 star ones. You'll likely find your people. Ha! While her output has been steady — and Twitter has been a wonderful place to find her in the meantime — McCracken’s third novel still feels long-awaited and hard-earned. Bowlaway is a sweeping family saga that is spectacularly weird in the author’s trademark way as grief and hope and oddity coexist in the same paragraph or even the same sentence — and are all tied together with a wry little bow. At the turn of the 20th century, Bertha Truitt, described as matronly and jowly, wearing a split skirt, is found lying face down in the local cemetery. She sits up and explains that she's the inventor of candlepin bowling. The townspeople are perplexed and mesmerized by Bertha Truitt Spoon River Anthology meets Cold Comfort Farm in this quirky story of a family-owned candlepin bowling alley that spans generations. There is a whisper of magical realism with a hefty dose of down-to-earth wisdom. At the turn of the 20th century, Bertha Truitt, described as matronly and jowly, wearing a split skirt, is found lying face down in the local cemetery. She sits up and explains that she's the inventor of candlepin bowling. The townspeople are perplexed and mesmerized by Bertha Truitt and are delighted with her candlepin bowling alley, where they can bowl away their problems. Even women are encouraged to go, and it becomes a place of camaraderie. Bowlaway follows Bertha Truitt and her husband, Dr. Sprague, and all their descendants in this small town in Massachusetts. Every character under the spell of Truitt's Alley has their own demons, their own agendas, their own desires. As the years pass, the bowling alley must change with the times as well as the aims of those who run it and those whose souls are captivated by the candlepins. Bowlaway has many stories of love and loss, and is handled with tenderness. McCracken's writing is sharp and full of joie de vivre. I had to get out my tape flags to mark pages several times because her wordsmithing was so intelligent. It's getting a special place on my shelf because I know I'll smile every time I see it. Actually, 2.5, because it isn't often that a novel has an incident of human spontaneous combustion. Like the balls in a game of candlepin bowling, this book bounced all over the place. Both the writing style and the plot were difficult to follow. What is McCracken trying to say? Therein lies the problem—a dearth of interesting or any themes. Bertha magically appears in a snow bank in a cemetery where she is discovered by Joe Wear and a “colored” doctor, Leviticus Sprague. She later tells Joe with the deformed head she will leave her candlepin bowling alley to him and proceeds to marry the docto Like the balls in a game of candlepin bowling, this book bounced all over the place. Both the writing style and the plot were difficult to follow. What is McCracken trying to say? Therein lies the problem—a dearth of interesting or any themes. Bertha magically appears in a snow bank in a cemetery where she is discovered by Joe Wear and a “colored” doctor, Leviticus Sprague. She later tells Joe with the deformed head she will leave her candlepin bowling alley to him and proceeds to marry the doctor. Women adore the sport and come from all over New England to bowl. Bertha’s idea is men and women can bowl away their problems. The problems increase for Bertha and the doctor. Bertha disappears. Is she dead? Every character in the book has some problem. Does the bowling alley lessen their problems? Or is the bowling alley the source of the problems? Connections are difficult between and among the characters, the plotting, the bowling alley, and the themes. The book read like a new player learning candlepin bowling—it was like trying to follow a pinball machine game. This was my first Elizabeth McCracken book, and, my goodness, her writing style is a delight. Her writing is highly inventive and quirky and imaginative. It put me in mind of Heather O'Neill at times, the way you wouldn't be sure where a sentence might take you, but you're amazed once you get there. I particularly loved the first third of the novel, the Bertha years. Bertha is, by far, my favourite character. She is quirky and original, and I would have been happy to spend the whole novel with he This was my first Elizabeth McCracken book, and, my goodness, her writing style is a delight. Her writing is highly inventive and quirky and imaginative. It put me in mind of Heather O'Neill at times, the way you wouldn't be sure where a sentence might take you, but you're amazed once you get there. I particularly loved the first third of the novel, the Bertha years. Bertha is, by far, my favourite character. She is quirky and original, and I would have been happy to spend the whole novel with her. I really felt her absence once she was gone. Though, of course, there are reverberations through the generations. I loved the character of Leviticus, too. Here and there, the novel feels like a bit of a slog, but it remains clever, and I did enjoy it. I also learned a lot about candlepin bowling, and about the Great Boston Molasses Flood of 1919. Who knew?! Elizabeth McCracken can make a sentence sing, and this book is a chorus. This is a big book, full of vibrant characters and moments of stunning insight. Bertha Truitt, is a stranger to the town of Salford, Massachusetts. She is found unconscious in a cemetery, with no idea, where she came from. She becomes an unforgettable force in this small New England town, as she starts the area's first bowling alley. She is smart, scrappy and far ahead of her time. She is the foundation of this novel, which begins around the turn of the century and follows this family and the other bowling alley participants, as they move through the following decades. It’s difficult to read your first book by an acclaimed author because you have no frame of reference, no benchmark. Elizabeth McCracken is well known and esteemed for her novel The Giant’s House, but not having read it yet, I can’t compare it to this one. This is mostly a family saga but with odd and interesting characters who seem otherworldly rather than true to life…almost in the vein of stories like Mary Poppins or Willy Wonka and the Chocolate Factory. The matriarch of the family, Bertha Tru It’s difficult to read your first book by an acclaimed author because you have no frame of reference, no benchmark. Elizabeth McCracken is well known and esteemed for her novel The Giant’s House, but not having read it yet, I can’t compare it to this one. This is mostly a family saga but with odd and interesting characters who seem otherworldly rather than true to life…almost in the vein of stories like Mary Poppins or Willy Wonka and the Chocolate Factory. The matriarch of the family, Bertha Truitt, dies early on (so this is not much of a spoiler) but we are left to see events through the eyes of her husband, progeny, her associates and adversaries. The language is interesting….here is one phrase I liked “the slow moving emerald Prell” when talking about shampooing hair. Prell was the ubiquitous shampoo of the 1950’s & 60’s. The book made me feel nostalgic in other ways. My stepfather’s brother owned bowling alleys in the 1940’s and my stepfather worked for him as a pinsetter before they had machines to do it. That was before my time, but he told stories about it. I remember watching bowling tournaments on television when I was a teenager. Do people bowl any more? More than just a lark? Are there serious bowlers out there? Tournaments? I don’t know…the whole thing seems like an anachronism. I loved this wonderfully weird, sprawling novel - the characters and language; the way the story crawled forward through generations, skipping to different branches of the family tree; the fictional town of Salford, Massachusetts and its ever-present candlepin bowling alley. It was original and insightful, fully embodying its place and time in New England, which endeared it to me even more. Families, amiright? They can be so odd, so complex, so contentious, so exhaustively maddening. Oh, you claim yours is normal? Kinda sorta boring? I’d be willing to bet that’s not the case. Every family has its quirks. Lord knows it’s been documented ad nauseum in film and on television; most certainly in the written form. Hell, one could even argue the Bible is the first, if not the most prime, example. But that’s for another review. Personally speaking, I can’t get enough of bizarro families, e Families, amiright? They can be so odd, so complex, so contentious, so exhaustively maddening. Oh, you claim yours is normal? Kinda sorta boring? I’d be willing to bet that’s not the case. Every family has its quirks. Lord knows it’s been documented ad nauseum in film and on television; most certainly in the written form. Hell, one could even argue the Bible is the first, if not the most prime, example. But that’s for another review. Personally speaking, I can’t get enough of bizarro families, especially in contemporary fiction. Perhaps it’s because I come from one myself, one I’m more than proud to admit being a part of. Even if I’ve found myself embarrassed by some of the antics of several of my family members. And, well, myself. But that’s also for another review. In the case of this particular review, Elizabeth McCracken – an author I’ve never read yet felt like I had been reading for decades – has crafted the mother of all strange broods with the Truitt family that centers her latest novel, the weird and whimsical Bowlaway. It begins with the discovery of an unconscious Bertha Truitt in a Salford, Massachusetts cemetery; she’d been seemingly dropped out of the sky with nothing on her but a bowling ball and pin – a candlepin, to be exact – as well as a small fortune in gold bars. She is as mysterious as her entry into Salford, offering little detail as to her previous whereabouts and/or family history. It’s because of this Bertha becomes the talk of the town, both good and bad; this is perpetuated upon her sudden union to the doctor (Leviticus Sprague – what a name!) who brought her back to consciousness, and even more so upon the opening of Truitt Alleys: a candlepin bowling establishment that would soon become the small town’s most notable attraction. As though attracted to the bizarre, Bertha leaves this world perhaps even more abnormally than she entered Salford: death by flooding, specifically molasses. It is her death where family starts to play a role, and not because of one she and Leviticus may have created (for the record, they did not). A long-lost son (or is he?) arrives to stake his claim in Truitt Alleys, setting forth a disentangling of family secrets that would affect generations of Truitts to come. I could go into said secrets and what they uncover but that would take away from the fun of Bowlaway. And that’s precisely what this novel is: fun. It’s also a celebration of family, and the fun (and quirkiness, and difficulty, and loyalty, and so on and so on) that comes with it. As somewhat aforementioned McCracken has a familiarity to her writing wherein you feel as though you’ve been reading her works for years, even if – like me – you haven’t. It’s a similar quality shared by some of my favorite authors – Richard Russo and Elizabeth Strout come to mind – yet hers is singular, dynamic in its strangeness. Where Russo and Strout make the ordinary extraordinary, McCracken emphasizes human idiosyncrasies to the point of an occasional overemphasis. This was actually one of the few very minor issues I had with Bowlaway; the characters are almost too defined by their peculiarities, too over-the-top. She is such a delightful writer. I loved everything about this. Sprawling, imaginative, haunting, poignant, charming. And it was so fun to be reminded that pistachios used to be dyed red. What was up with that? Ambitious novel about the people whose lives are impacted by a candlestick bowling alley in the early 20th century New England. I appreciated the effort to develop this multilayered narrative as we pass through a series of bizarre events from conflagations to molasses floods to show how the alley becomes a symbol of the changing eras. But it was a bit too narratively muddled with unexpected plot detours that halted the story's momentum for me. The characters were also one dimensional. A big, humorous novel, by a writer who always writes with loads of joy. A hundred years in a bowling alley in a small town outside of Boston. An amazing array of characters find their way into the pages in this always amusing and fascinating book. Elizabeth McCracken (born 1966) is an American author. She is married to the novelist Edward Carey, with whom she has two children - August George Carey Harvey and Matilda Libby Mary Harvey. An earlier child died before birth, an experience which formed the basis for McCracken's memoir, An Exact Replica of a Figme Librarian Note: There is more than one author by this name in the Goodreads database. Elizabeth McCracken (born 1966) is an American author. She is married to the novelist Edward Carey, with whom she has two children - August George Carey Harvey and Matilda Libby Mary Harvey. An earlier child died before birth, an experience which formed the basis for McCracken's memoir, An Exact Replica of a Figment of My Imagination.